Joe Lauria’s piece is so informative, as are the comments to it. I’ve copied the whole and passed it all on. Thank you, Consortiumnews. So many facts fail to make it into the MSM that one has to wonder why ! For example Netanyahu’s real name is Mileikowsky and his heritage is as an Ashkenazi Jew from Poland who has become the first and only Israeli prime minister born in Israel. These Eastern Europeans converted to Jedaism hundreds of years ago , are not semites but they continue to concoct a false history to connect themselves to Palestine & justify a claim to it. Somewhere along the line you bring up what seems like a fair point, assuming your information is even slightly accurate, about the right of return for all Palestinians, but you bury it in so much hyperbole and nonsense it is worthless and suspect. The use of words like war and genocide in a context where they are deliberately and obviously inflammatory does not strengthen your argument; it only makes it clear you don’t have one. Ending the conflict, to you and others means Palestinians abdicating their rights and taking whatever they are offered by a country that literally took that land from them by force and have held it by force for decades. Whether you think that was right or wrong that is what happened. There is no question anywhere the Palestinians are going to continue to press for their right to hold on to what they view as their land. The point is exactly to gain leverage in that difference of opinion, there is no contradiction. You can call that a war but since they are doing that instead of blowing people up your use of the word war says more about where you are coming from than where they are. The Palestinians are going this route instead of continuing an actual war. That is a good thing. As for the rest, allow the Palestinians to develop an economy so they can pay anyone and land that is controlled completely by a duly elected government, then judge them based on what they do; not what one person said. Whose fault is it that Palestine has no control over its economy and is reduced to beggar status? Who controls the air, the sea, the imports and exports? And, incidentally, this article goes to great lengths to explain that Palestine is already a state whether anyone likes it or not. Now that you’ve posted your diatribe you should consider reading it. All I know is that the majority of Israelis know “Bibi” is on the wrong road, just as the majority of Americans know the US is on the wrong road. The senseless foreign policy of both is isolating them from the rest of the world. For Israel to lean on America is to lean on a reed whose bruise is deepening and spreading. and continues to build settlements. any territory beyond the 1967 lines. Meaning for example, that the Jewish Quarter in Jerusalem, is Palestinian territory. This is not just absurd. It violates every prior peace agreement. They all stipulate that such demands are to be the subject of negotiations, not their precondition. Abbas unwaveringly insists on the so-called “right of return,” which would demographically destroy Israel by swamping it with millions of Arabs, thereby turning the world’s only Jewish state into the worlds’s 23rd Arab state. At a U.S. sponsored summit, Prime Minister Ehud Barak offers Yasser Arafat a Palestinian state on the West Band and Gaza – and, astonishingly, the previously inconceivable division of Jerusalem. Arafat refuses – and makes no conteroffer, thereby demonstrating his unseriousness about making any deal. Instead, within two months, he launches a savage terror war. An even sweeter deal – the Clinton Parameters – is offered. Arafat walks away again. Prime Minister Ehud Olmert makes the ultimate capitulation to Palestinian demands – 100% fo the West Bank (with land swaps), Palestinian statehood, the division of Jerusalem with the Muslim parts becoming the capital of the new Palestine. And incredibly, he offers to turn over the city’s holy places, including the Western Wall – Juaism’s most sacred site, its Kaaka – to an international body on which sit Jordan and Saudi Arabia. This is not ancient history. All three peace talks occured over the past decade. And each one completely contradicts the current mindless narrative of Israeli “intransigence” as the obstacle to peace. Settlements? Every settlement remaining within the new Palestine would be destroyed and emptied, precisely as happened in Gaza. So why did the Palestinians say no? Because saying yes would have required them to sign a final peace agreement that accepted a Jewish state on what they consider the Muslim patrimony. The key word here is “final”. The Palestinians are quite prepared to sign interim agreements, like Oslo. framework agreements, like Annapolis. Cease-fires, like the 1949 armistice. Anything but a final deal. Anything but a final peace. Anything but a treaty that ends the conflict once and for all- while leaving a Jewish state still standing. After all, why did abbas go to the United Nations last month? for nearly half a century, the US has pursued a Middle East settlement on the basis of the formula of land for peace. Land for peace produced the Israel-Egypt peace of 1979 and the Israel-Jordan peace of 1994. Israel has offered the Palestinians land for peace three times since. And been refused every time. Why? For exactly the same reason Abbas went to the UN last week to get land WITHOUT peace. Sovereignty with no reciprocal recognition of a Jewish state. Statehood without negotiations. An independent Palestine in a continued state of war with Israel. This is the reason that,regardless of who is governing Israel, there has never been peace. Territorial disputes are solvable, existential conflicts are not. Land for peace, yes. Land without peace is nothing but an invitation to suicide. Barak did not offer anything written on a piece of paper. The Taba negotiations proved worthless because the Israeli government was in the state of transition and nobody on the Israeli side was authorized to sign anything. Summit in July 2000. He ought to know what happened there. But no one seemed to notice that this admission contradicts the core argument for Palestinian statehood: The Palestinians are fighting for their state, so they have told the world, for their political self-determination, for their national self-realization; so the creation of a Palestinian state is the way to end the conflict. When we have a state accepted as a member of the United Nations, this is not the end of the conflict. This is not a solution to the conflict. This is only a new framework that will change the rules of the game. And still no one seems to notice the contradiction here. What an incredible irony. For years, the world has supported the concept of a Palestinian state, and forgiven the endless relentless Palestinian terrorism, on the grounds that Palestinians are stateless people who deserve a country of their own. And now, a senior Palestinian official has announced that once they have received a state, most Palestinians will still be stateless â€“ even those who actually live in “Palestine.” Moreover, the new state won’t provide these residents with any services: It expects UNRWA â€“ or, more accurately, the American and European taxpayers, who provide the bulk of that organization’s funding â€“ to continue providing their schooling, healthcare, welfare allowances, etc. So almost half of all the Palestinians in the West Bank and Gaza Strip will not be citizens of the state that demands to be created in order for these same people to have a state. It is beyond incredible that a senior Palestinian Authority official feels free to express openly this utterly transparent hypocrisy. The leaders of the Palestinian Authority are abrogating their own supposedly “sacred right of return” (haq el-auwda), their hitherto uncompromisable demand, canonized in the UN umpteen times since 1949, for the end to the statelessness of the so-called “Palestinian refugees.” That which they have demanded for the last 60 years as a non-negotiable concession from Israel they now nullify with one sentence, and with no explanation, by refusing to offer it to their own. Even the most obdurately blind to the real intentions of the Palestinian Authority cannot close their eyes to the transparent intentions expressed in this Machiavellian statement of rejection. Palestinian leaders are not demanding a state so that they can have their “long-denied homeland” for their poor suffering “Palestinian refugees,” all those millions of people who languish in the exile of their so-called “Palestinian Diaspora.” If they were, they could not now deny to some that right that they have so vociferously and self-righteously demanded from Israel. Rather, they are demanding a state so that they can more effectively and efficiently pursue their war against Israel. If they were to use their resources to resettle immigrants, to build a viable economy, to create employment for the supposed millions of “Palestinians” who will presumably return joyously from exile and flock to their newly recognized homeland, to construct housing projects, schools, hospitals, infrastructure, etc., there might then be fewer resources to devote to their endless, relentless war against Israel: The political war in the UN, the violent terror war, the PR war in the world’s media, the legal war of lawfare in the West, and the academicians’ war played out on college campuses. The repatriated “refugees” would be a distraction. If they were to drain the refugee camps of their “refugees” and resettle them and offer them the opportunities for constructive work and education and a normal life, they would soon have fewer desperately poor oppressed people from whom to recruit their suicide bombers and terrorist operatives; and they would lose the PR value of the heart-rending and gut-wrenching image of the hopeless, hapless, helpless, homeless refugee languishing in the “Palestinian Diaspora,” longing desperately for his ancient homeland. The rehabilitated “refugees” would become a PR liability. 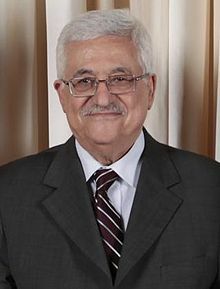 Lastly, when one considers the resources available to the nascent “Palestinian state” from Arab oil-rich countries, it is obvious that these “Palestinian state” allies ought to be happy to offer aid and loans and political and economic cooperation to the new brethren Muslim Arab state in order to make sure that its launch is successful and that it has the resources needed to solve its “refugee problem” â€“ if they really cared a whit about the “refugees.” Yet no one has reacted to this astonishingly hypocritical rejection of citizenship for the “refugees.” How could this be, unless these Arab states share the same goal of continued conflict until victory, and victory means the destruction of Israel? And indeed, it seems very likely that the reason for these seemingly contradictory statements, these hypocritical pronouncements, is because Palestinian Authority leadership recognizes the need to reassure its allies in the Arab and broader Muslim world that Palestinian statehood will not mean accommodation with the accursed Zionists. No, statehood will merely make the implementation of the great final jihad more efficient, and thus bring nearer the day when Israel can be wiped off the face of the earth. What better reason to deny statehood than the recognition that such status for the PLO/Fatah/Hamas, the leaders of the future state, will actually contribute to continued war and terrorism and suffering, and will assist these terrorists to achieve their goal of genocide? This admission clarifies beyond rational doubt that support for a Palestinian state is support for the destruction of Israel and the genocide of its Jews.